Michael Howard. 2000. Yale University Press, New Haven. 113 pages. It’s a fitting opener to Sir Michael Howard’s remarkably short, concise essay addressing the difficulties humanity faces in establishing peace. It’s an interesting thought, but is it true? War clearly does start in the human mind. Can the same be said of peace? 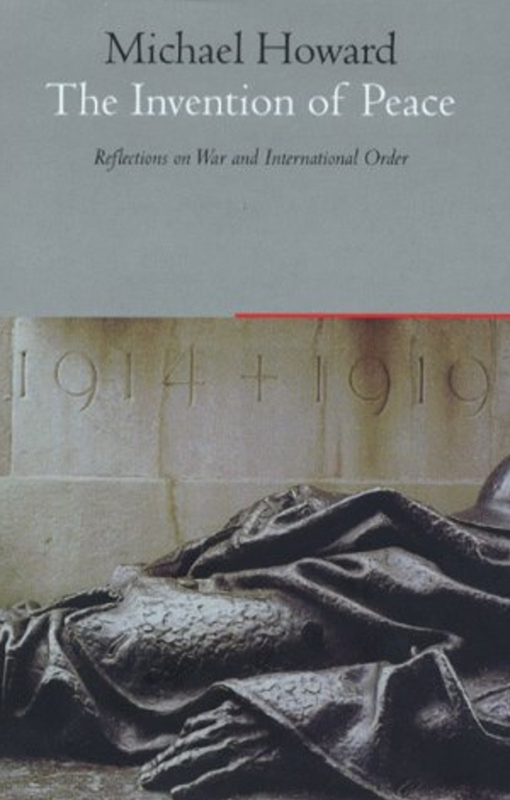 In his book, Howard catalogs the history of war in Western civilization from the medieval period to the current day. At the beginning, a delicate symbiosis developed between the ruling warrior class and the church. Ultimately this mutuality collapsed under new, critical thinking that denied the legitimacy of war as a necessary part of the natural and divine order. “It was then,” says Howard, “that peace, the visualization of a social order from which war had been abolished, could be said to have been invented.” The remainder of the book deals with this invention. In Howard’s schema, modern war had its origins in regional conflicts between members of the aristocracy. It was legitimized by St. Augustine in the fourth century and perceived as an essential part of the divine purpose. Although there had been several world empires by Augustine’s time, according to Howard the first world order was embodied in the Holy Roman Empire, which dated from Charlemagne’s coronation in A.D. 800 to the empire’s demise in 1803. During this period, war was recognized as an intrinsic part of the social and political order. Against the enemies of Christendom, war was justified by reference to the Old Testament; when it occurred among the adherents of Christianity, it was simply a function of the “fallen” condition of man. These convenient arguments became untenable, however, once the cost of doing battle became too great. Enter the nation-state, whose creation is generally linked to the Peace of Westphalia in 1648. The aristocracy grudgingly ceded authority to the monarchy for the making of war in exchange for a reliable source of funding: state-sanctioned taxation. An unholy trinity emerged between the mutually supportive monarchy, church and aristocracy. The monarchy needed the church’s credibility and support and, in return, gave its support to the church. Since the aristocracy could no longer afford to wage war, they supported the monarchy in exchange for maintaining their position and preference. This worked, so long as they recognized the monarch’s unique authority to raise taxes and make war. The coming of the Enlightenment resulted in rejection of the traditional authority of both church and state, and elevation of individual reason and judgment. War was no longer a part of the natural order but a foolish anachronism. Enlightenment thinkers held that man was naturally good but had been corrupted by institutions. War was no longer a part of the natural order but a foolish anachronism. German philosopher Immanuel Kant, on the other hand, believed that man was constructed from “crooked timber.” Peace might be achieved, he said, but only after a protracted period. A “peace process,” necessarily preceded by the horror and expense of war, would compel humanity to lay new foundations for peace. 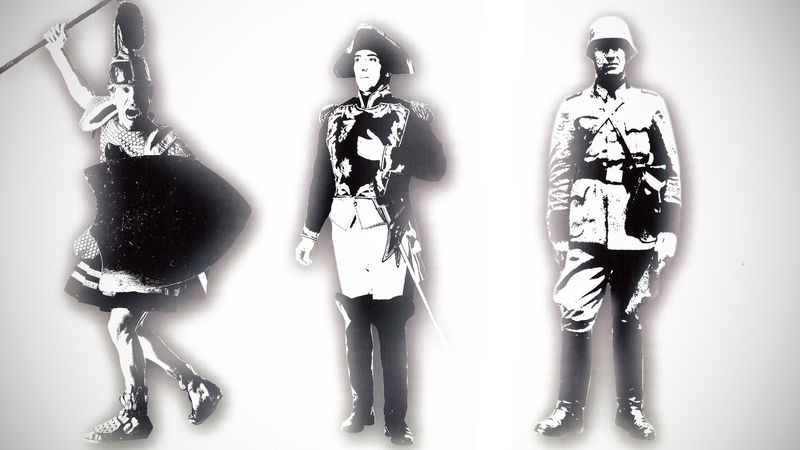 Napoleon Bonaparte can be credited with introducing the next attempt at world order. France’s militarized society depended on continuous war; its universal doctrine of peace and brotherhood, spread by means of French bayonets, accelerated development of the counter-Enlightenment. This movement taught that people could formulate laws for a just and peaceful society only as members of the community to which they owed their loyalties. It was actually the defeat of Napoleon that allowed the more complete development of the nation-state. Modern European nation-states experienced periods of uneasy peace punctuated by low-level warfare as they sought to extend their hegemony far and wide. Then came the First World War, changing the landscape of Europe forever. The war that could not happen, suddenly did. Rapid rearmament, militaristic nationalism and entangling alliances created a deadly mixture that guaranteed a Europe-wide war. At its conclusion, the powers of Europe were exhausted, imperial aspirations were severely curtailed, and the United States alone was in a position to establish the next world order. By all appearances, 1918 found the Enlightenment liberals triumphant. Woodrow Wilson, like Kant, believed that a league of nations, guaranteeing each nation’s security, could finally establish peace with firm legal covenants. At the same time, British philosopher Bertrand Russell began campaigning for some form of world government as the answer to war. At this point, two universalist concepts of world order, both claiming the heritage of the Enlightenment, were contesting the future. Liberal democracy, on the one hand, placed its faith in the human capacity to create a peaceful society through cooperation and mutual agreement. Communism, on the other hand, put its trust in a secular priesthood—the Party—and its totalitarian, classless utopia. After a 40-year hiatus, the world order shifted once again: 1989 witnessed the effective collapse of communism as it was buried under the relentless economic weight of the United States. Communism failed to deliver the promised prosperity, even as fascism had failed to deliver the promised military victory. Some have argued that the Soviet Union could have lasted another 20 years before economic collapse; but even they have admitted that the 1989 collapse of the communist system was the result of acceptance of the Western economic model by leading Russian intellectuals beginning in the 1970s. The end of the Cold War left but one vision of a new world order. The liberal inheritors of the Enlightenment were poised to lead the world to universal peace. All the pieces were in place: freedom of travel, freedom of communication of ideas, and freedom of commerce. Howard astutely observes that "global competition often results in local ruin." Capitalism is powerless to create common moral values and stable civil societies. Why, then, are we not now at peace? Howard cites two fundamental reasons. First, freedom of communication and commerce do not necessarily establish peace. Howard astutely observes that “global competition often results in local ruin.” Capitalism is powerless to create common moral values and stable civil societies. Economic confusion and widespread misery in postcommunist societies have produced xenophobia, authoritarianism and nationalism. Second, some in society view global capitalism as a threat to indigenous values and social cohesion. Howard himself maintains that the sovereign nation-state is threatened by globalization and supranational entities, such as the European Union and the International Monetary Fund, and their efforts to forcibly intervene in the affairs of sovereign states. He further asserts that the erosion of state authority will actually weaken world order. Supranational authorities can be effective, but not without cultural homogeneity, a freely accepted framework of law, and a common value system. The establishment of a “global peaceful order” requires the creation of a world community and what Howard identifies as a “transnational elite,” sharing the same cultural norms. But what if a framework of social and political order were, in fact, to be established? And suppose further that this supranational framework should possess the cultural homogeneity, the freely accepted framework of law, and the common value system that Howard claims are prerequisites for a true world community. And finally, let’s assume that Howard’s framework for social and political order, providing for the dissemination of Enlightenment values, could finally bring conflict to an end. Would this bring peace? The answer would surely depend on one’s definition of peace, or rather redefinition. English philosopher Thomas Hobbes bleakly defined peace as a period when war is “neither imminent nor actually being fought,” a sort of negative peace. Howard prefers to define peace more positively: the construct of “a social and political ordering of society that is generally accepted as just.” And herein lies the problem. Who defines what is just? Howard’s transnational elite, perhaps? Howard observes that there is now only one vision left by which to define the next world order: globalization. It will no doubt continue its inexorable march, but the nation-states will do well to redefine themselves if they want to maintain their influence. We might also ask whether we have considered all sides of this emerging global capitalistic system. So far we have experienced its spin-offs as sustained economic prosperity, technological innovation, containment of ethnic conflict by surgical intervention, war tribunals for “bad” people, and sanctioning against rogue nations. Most would view these as positive developments, at least from a Western perspective. However, with the attack on the United States by Islamist extremists last year, it is clear that not all have embraced the global capitalist vision. Does the indiscriminate targeting of civilians by merchants of terror suggest a fatal blind spot in Howard’s schema for a generally accepted and just social and political order? The framework for a global social and political order, which would allow for "dissemination of enlightenment values," is not yet evident. There is no question that the world is at a truly unique crossroads as it embarks on the 21st century. The pieces for the global transnational community that Howard envisions are in place. He is correct in noting, however, that the framework for a global social and political order, which would allow for “the dissemination of Enlightenment values,” is not yet evident. Still, it is clear that he views such a framework as the solution to humanity’s search for peace. But Howard makes a critical error in assuming, at least tacitly, that such an “enlightened” global order would necessarily be benevolent, just and peaceful for everyone. Returning to the question posed earlier, if war starts in the minds of men, can the same be said for peace? If history is any indicator, Howard’s assertion has yet to be proven. Humanity’s track record thus far has been abysmal, which does not bode well for the future. We may therefore want to withhold our rejoicing at the prospect of the next “peaceful” world order. It might just be premature.